why does my jumper have a white mark that is somehow naked to the human eye yet shows up on camera? only explanation: tiny ghosts, obvs. hello! well, this is my first post of 2013 and i would think of something hilariously witty or profoundly wise to say but i just can’t summon it. i do hope you were all sufficiently plastered (or had a nice evening if you don’t drink) on NYE. me and my boyfriend had a surreal experience involving a house full of people’s parents and PS3 karaoke, it was… odd, but i’m going to chalk it up as a definite real life curb your enthusiasm moment. contrary to the rest of blog world, i’m not going to list my resolutions (as i never stick to them anyways), instead i’m just going to say i’m aiming to spend a bit less money on things i don’t need. which means, lovely readers, i shall be relying on your reviews to judge my purchases, so they better be good (or bad, the bad ones help more, infact). think i’m going to be adding more beauty reviews to the blog, starting with my favourite items, ie five of the best cleansers etc. so please let me know if you actually want me to do that before i start putting it together! another little thing i’d like to say is thank you very much if you’ve watched my video or subscribed to my youtube! my first video has had quite a positive reaction, which i am extremely grateful for and i’ll be doing another one next week sometime. is there anything in particular that you’d like to see? leave me some suggestions if you’d be so kind! also, go say hi to my new advertisers! 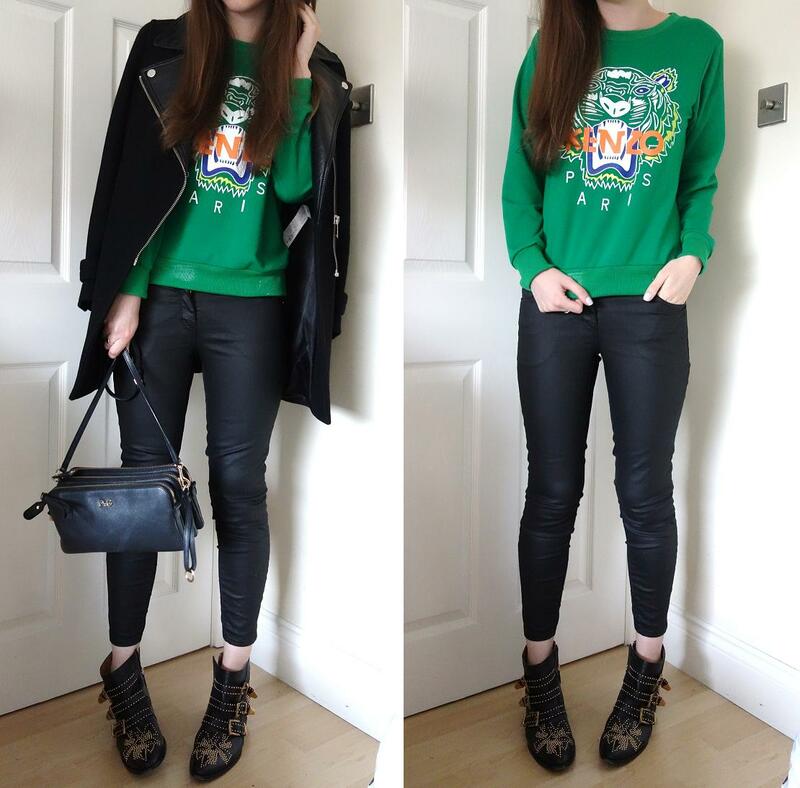 the lovely georgiabeee, who is bloomin’ adorable and writes some lovely fashion and beauty posts. aaaand polkadot dreams, an etsy shop run by samantha who makes the cutest accessories, seriously, you’ll die at the cute. ps. there’s only three days left to enter my £50 barratts shoes giveaway, get on it!